How to appeal a tax penalty: if HM Revenue & Customs (HMRC) have assessed you for a tax penalty you may appeal against the penalty. If you are subscriber to this website click here for the detailed practical guide to making appeals. It is validly made and made within time limits. Whether HMRC have actually reviewed their decision. Whether there are any settlement terms available. Whether your case is similar to other cases and if you can co-join your appeal to theirs. If you would like a second opinion at this stage you need to get one without delay (contact the Virtual Tax Partner support service). Do not delay: you must act within the time limits given. A Late Appeal may be possible however only in certain circumstances: do not rely on this being possible. Your grounds for making an appeal will depend entirely on the nature of the penalty and circumstances. Both the penalty and the size of penalty may be appealed. 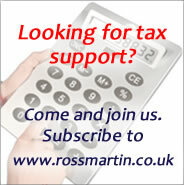 In the case of penalties for error or mistake you may additionally lodge an appeal if HMRC fails to suspend a penalty. The taxpayer must put forward an excuse. A penalty for Errors in returns and documents causing an understatement of tax, or the over claiming of a loss or relief may be appealed on the basis that the taxpayer took reasonable care. This type of penalty may be removed, reduced or suspended. Top tip: for this type of penalty it is always worth requesting suspension. If you don't ask you won't get! It is vital to research how the law works in this area, see our Penalties Grounds for Appeal Toolkit this tracks different appeals and the tribunal reactions. When a penalty notice is received the taxpayer should follow the instructions given and write to HMRC, making an appeal, as necessary. The judge will issue directions which must be followed, these will include providing details about dates, representation and may require written representations from the parties. They will also include instructions on the bundle, case authorities and evidence. The tribunals view any contempt of the legal process as abhorrent. For example, in a 2014 case a taxpayer iended up paying HMRC's costs after he or his representative withheld evidence and failed to notify the tribunal as to a change of representative. The bundle is the bundle of documents required for the hearing, the judge will provide directions as to what is required. This may in more complicated cases include a skeleton argument from both sides. The size and contents of the bundle depend on the case, but will include all correspondence between the parties, including penalty notices from HMRC. The bundle should set out the legislation and if appropriate, relevant case law. Cases may decided 'on the papers' that is by a judge without a formal public hearing. This applies particularly when there are a backlog of similar cases, which applied following the Donaldson decision on penalties in 2017. If there is a public hearing a taxpayer (who if appealling is called the appellant) or their representative will be required to present the case and then present their evidence to the Tribunal, calling witnesses as necessary. The quality of the evidence provided is often what will decide the case, unless the hearing is over a purely technical matter. Some taxpayers turn up without any evidence; reading between the lines of case decisions does not assist their appeal. The type of evidence required to make your case varies. Ideally you need a third party to back up your evidence, for example, if a taxpayer is appealing a late filing penalty because he was ill and unable to submit he return, then he possibly needs only to bring a doctor's certificate to the tribunal. He could have a third party witness confirm he was ill, or perhaps a sick note which he created and presented to work, it would be then useful if his boss would corroborate. A taxpayer need not attend a hearing however if you are not there to answer questions this is unlikely to improve the chance of success in your case as the judge is looking at the evidence. A decision of the FTT may be appealed in certain circumstances to the Upper Tribunal (UT). A case which features difficult technical argument may be appealed straight to the UT. Assistance in making an appeal?